The School of the Arts (SOTA) presents Organism-X, a series of 8 intricate drawings based upon a project given in Biology classes. Students studied the physical characteristics and habits of animals from the Pacific Northwest. They then selected two different animals and combined them into a single species. 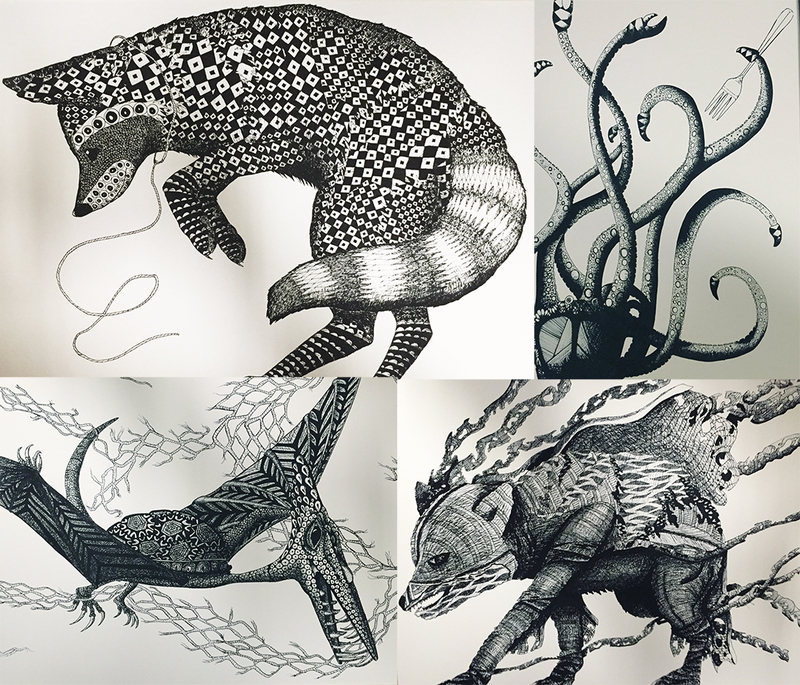 Each drawing also includes patterns used to embellish the surface of the animal, and each animal is interacting with a piece of discarded trash tossed into the environment. Framed prints will be for sale.